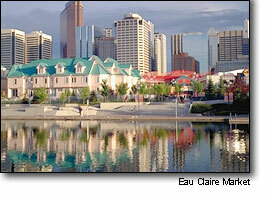 Find more Calgary leisure and fun. See if your lifestyle public relations or other interests appear on this list of references. Living in a community gives you a chance to take part in the atmosphere it provides and variety is the spice of life. Take pet ownership for instance. Pets add to that spice and if you would like to add a cat or dog to your household, check out the Calgary SPCA and see what is available. What else comprises community lifestyle and culture? This awesome photo is from the Travel Alberta website. They have used it in their public relations materials as well. Clicking on it will take you to where you can learn more about visiting Calgary. Most of the things listed below are located within Calgary, Alberta. Some of them may give you a bit of info about the rest of the world. Here's the first random example of fun things to do. Want to get out for some fun tonight? Crawl on down to Calgary's Tequila Nightclub and have a good one. Tie one on, even. See what the other local hangouts are doing by picking up a free copy of the FFWD magazine. You can also check the Artist Music Rock page for more about entertainment on this website. For something different, check out a movie. There are lots in town. See this short article about Calgary Movie Showtimes. If you're looking for cultural things unique to Calgary, the annual events around Calgary are always a good thing to check out. When is this year's Fringe Festival, for example. That's always a lotta fun. You can even volunteer for the festival if you would like. 1. Ski Vacation Advisor Everything you need to plan your ski vacation. 2. Check this handy information if you're gay and new to town or visiting. Finally, does your lifestyle and personal composition include physical fitness? Find out where the city's swimming pools are. Or check out some of the local hockey arenas. These are just a few of the lifestyle options available in Calgary. Try the Site Map link above for a more detailed list. Go back from Lifestyle Public Relations to the Calgary City Maps Homepage.